Get ready for the ride of your life with the Wild Whiplash Roller Coaster Building Set from K'NEX! Standing at over 2 ½ feet high, this creepy carnival themed coaster includes a motorized chain-lift that propels the coaster car through 14 feet of twisting, turning track! Set also features special graphic panels and stickers and comes with easy-to-follow, step-by-step building instructions. Instructions for 2nd coaster can be downloaded from knex.com! Perfect for builders 9+. Build a WORKING motorized roller coaster!, Creepy Carnival theme with special graphic panels and stickers for the coaster car, Includes easy-to-follow, step-by-step building instructions plus downloadable instructions for a 2nd coaster, 580 parts, including over 14 feet of track and a motorized chain lift, Over 2 ? feet tall! Our son has played with K'nex before, but this was the first building set that he tried. Building it kept him creatively entertained for several hours and he he thoroughly loved the challenge of figuring out how to put it together. The end result of a coaster that is over 2 1/2 feet high, totally wowed him. I can't tell you how often I've found him standing there in front of the completed coaster, watching the little motorized car zoom around- it's crazy fast! His 2 younger sisters have been fascinated too. Our son did find the directions a bit hard to understand at a few places and needed a little help, but it wasn't a big deal and we soon had them figured out. I'm guessing if a child is familiar with K'nex sets, it wouldn't be a problem though. We can't wait to download the instructions for a 2nd coaster on knex.com! I received this product for free in exchange for my honest review. The little coaster car requires 2 AA batteries, which aren't included, so make sure you have some on hand. My 10 year old son was very excited to receive the K'NEX Wild Whiplash Coaster Building Set in the mail. As soon as he got the package out of the box he immediately opened it. (I was surprised how small the box was because the finished Coaster measures just under 3 feet wide and 3 feet wide). In the box was a large, colorful instruction book, a set of graphic panels, a motor, a coaster and 2 plastic bags full of pieces. My son carefully separated all the pieces and parts by type and color before beginning building. I was impressed that he put the entire Coaster together all by himself without needing any assistance or asking me any questions. He loves science, building, and figuring out how things work so this was a great set for him. Since putting the Coaster together he has been happily playing with it, as has my 7 year old daughter. 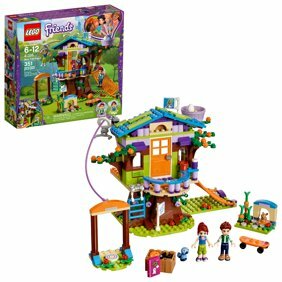 I think this set is great for a boy or girl who enjoys putting things together or building sets. I also liked that this set could be built by a non-reader, or a child who is not a strong reader, because the instruction booklet is filled with big colorful pictures instead of words. Lastly, I thought that at the end of the booklet the tips and troubleshooting suggestions was a good addition for kids and parents having difficulty building the set. K'NEX even threw in a 1-800 number for assistance which I thought was superb. Although we received this K'NEX for free in exchange for our review, I would purchase products from this company again in the future. Affordable, challenging project for tweens/teens! I was sent the K'NEX Whiplash Roller Coaster free of charge in exchange for my honest review of the product. My boys are 10, 12, and 14. They are each taking a Project Lead the Way STEM Class in Middle School, and have become very interested in things they can build on their own that have real working parts that they can visibly see and understand how they work together. They had a great time working together as a team putting this together. They started on the kitchen table, but it's tall, almost 3 feet tall, so they moved it to the floor to complete it. It has over 14 feet of track and a motorized chain lift so it sounds just like a real roller coaster at a theme park. They found the instructions easy to follow, and it took them about 3 1/2 to 4 hours to complete - great for a Sunday afternoon when it was poor weather outside :) As a parent, I love that it's a project that challenged my kids, but not so hard that they weren't able to complete it. It's educational, hands on experience following instructions, building a structure that they can operate, and uses some of the STEM lessons they've been studying in school. It's VERY affordably priced, especially considering the experience it provided my kids. They even want to take it to school to put together in their after school STEM club with their friends. I will be shopping for more K'Nex projects of this nature for Christmas gifts for them, because they truly enjoyed this one so much! My boys loved this! We have owned K'Nex before but this is our first kit. My boys are are (6, 10, 16) my 6 year old mostly sat and watched during the building process but my 10 year old was able to put it together with no problems at all. My 16 year old loved it as well but would probably not admit it. This product has fourteen feet worth of track and has a motorized chain-lift! It is totally like the real thing in miniature and you can dress it up with decals and stickers. Even though this is a toy, the truth is the coaster is pretty realistic and takes about 2-3 hours to build. With 580 parts and standing more than two feet tall, this roller coaster is no joke. Best of all, when you finish building it you can send your roller car riding! The instructions were very easy to follow and understand. The boys are now excited to experiment with their own design. If you have a roller coaster enthusiast, potential architect or general lover of motorized toys in the family or on your list, this should be a home run to say the least. I give this awesome K'Nex building set five solid stars out of five. I received this product for free in exchange for my honest review. My seven year old has been very interested in building things as of late. We were lucky enough to get this in the mail and I have to say I was very excited. It comes with a LOT of pieces but rather easy to assemble. We took our time putting it together and carefully reading the directions. We would stop and come back to it because my son has a shorter attention span. Once assembled this coaster was very memortizing to him. He enjoys watching it race, drop and spin around much like a real life coaster we see at theme parks. This particular kit was fun to not only assemble but also see the fruits of your labor in the toy itself. In exchange for my honest review, I was provided this product for free. Kids will be amazed at what they can build! In exchange for my honest review, I was provided this product for free. My kids absolutely loved this set! They quickly built the coaster featured on the outside of the box within an hour. They showed me and I was amazed at how big it came out to be. Once the motor was turned on the coaster begin to move! I really was impressed at their construction skills. They then showed me several different builds, all featuring the motor pulling the cart through loops and so many other cool designs. We have had K'nex sets in the past but these snapped together much easier. I loved how the set kept them busy for hours. Takes Quite a Long Time, But Worth It! So first off, there are a LOT of teeny tiny little pieces to keep track of, so this is pretty age-sensitive. I suggest you get small bins or bowls to sort them out before attempting to build it, as they come all jumbled up in one bag, and you don't want to have to dig through it. You'll want something to put them in, because they will roll all over the place if not contained. This is not something that you can just whip together fast. It probably depends on skills, but to give you an idea, it was my first time at putting together something like this, and it took me a good six hours to do it by myself. One thing that can be time consuming is that some of the illustrations don't show the position of some of the parts clearly, so some experimentation is needed. I also found that I didn't need all the links to the chain, as it was too long if I used them all. And yes, you have to put the chain links together. Like I said, it takes a while. Once you're done, it's a pretty entertaining toy. The chain drive will push the car down or back up, and send it through the many loops. I did a couple of test runs and did have to adjust the position of some of the parts, but in the end, it was a smooth movement throughout. Not to mention, it looks seriously cool. One thing to remember...this is a bunch of little plastic widgets and whatnots, so it's not going to take a lot of abuse. I didn't have a problem with normal play, though. This set is almost like two toys in one, because you get the fun of building it, plus the finished coaster. Very fun to play with, too. I received a free product for review purposes. My opinions and lack of building ability are my own. Our first K'NEX build was a hit! Building our K'NEX coaster was a family affair! The kids sorted all the pieces, counting them out to make sure they were all there for each step. (Great math practice!) Each picture instruction made it a fun "puzzle" to put together. I knew the coaster would be big based on the dimensions, but it was different seeing it all put together and running. It's an impressive sight for the price! This is the first of many K'NEX products for us! I received this product for free in exchange for my honest review. We received the K'NEX Wild Whiplash Coaster Building Set for free for review purposes. This isn't our first K'NEX Coaster, so we immediately started by sorting the pieces into small bins. It takes some time upfront, but makes it a lot easier to find what you're looking for at each step. We found the directions to be mostly clear. My 9-year old daughter and 11-year old son were able to do a lot of the steps with minimal help. There are a few spots where it's not entirely clear how to orient a piece, but it all worked out in the end. We spent about 2-3 hours assembling it. It would probably take an adult less time, but if a family is doing it together, expect to fall at the higher end of that range. We had a combo of family build and adult-only build, but with a lot of stopping and starting and distractions along the way. Once built, we had some difficulty with the car not making it around the second loop. We fiddled with it and fiddled with it until we got it to work. We actually had to slightly bend the wheels on the car to get it to run more smoothly, but after that we had no problems whatsoever. One of the nice benefits of this set is that it has alternative build instructions so once you get tired of this setup, you can build the other one. The Wild Whiplash Coaster requires two AA batteries that aren't included so do plan ahead (I'd buy extras to have on hand as well). Overall, we are happy with the coaster and think it's a good value for the price. My son is 10 years old and this was our 1st K'nex product. We were excited to build it together because the idea of a roller coaster over 2 feet in your bedroom is always a great idea! I was a bit apprehensive at first seeing how small the pieces were & how many. I will admit it was challenging since we have never put a K'nex product together before. So I would suggest getting familiar with the pieces first & separating them into groups. The directions were easy to follow but some of the pictures were a bit confusing on how the pieces should fit into each other. We figured it out. With some breaks in between it took us over 3 hours to build. Once we completed it, I'm glad we had an area in his bedroom that would fit. It is high & you do want it to last for a few days. It was fun to see the car zip up, down & loop through. My youngest nephew had the most fun with it even though he almost crashed it down a couple of times! This is a great holiday gift for the family because you will get some bonding time together and a break from electronics! Well worth the price! I was given the K'NEX Whiplash Roller Coaster free of charge in exchange for my honest review of the toy.